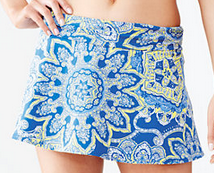 Home > Online shopping > Lands’ End Coupon Code: Extra 50% Off Swim! Lands’ End Coupon Code: Extra 50% Off Swim! My favorite brand of swimwear is on sale! You can get an extra 50% off swim at Lands’ End. Use the code POPSICLE and the pin 4254 to get the deal. The best part: the code works on clearance! The code will take 30% off all other full-price styles. Note: sizes are extremely limited on sale items. Offer valid through 6/11. Shipping is FREE on orders $25+.